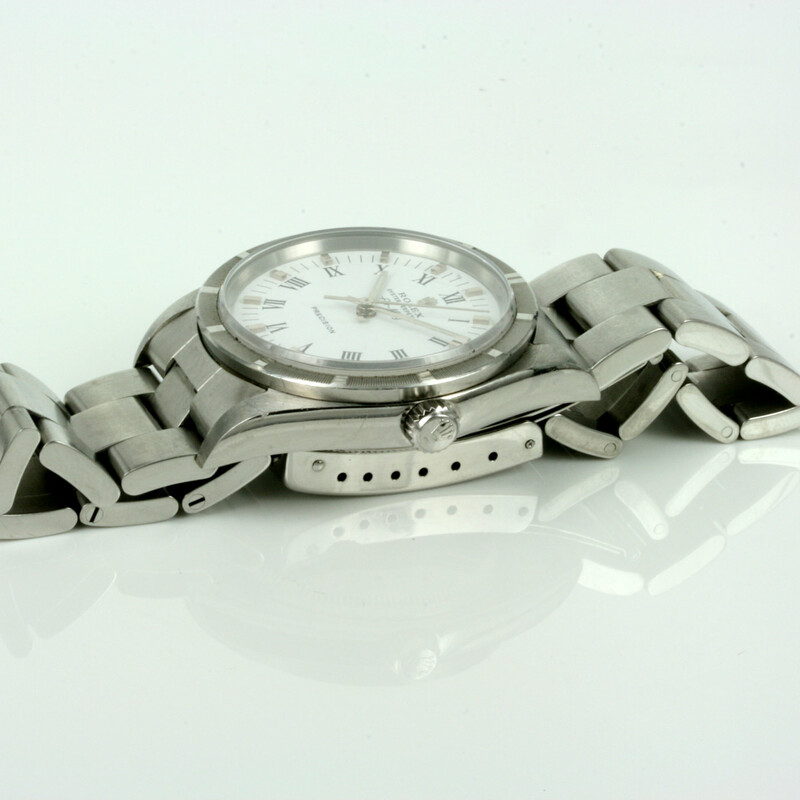 Product code: ES2164cc Categories: Sold Items, Sold Rolex Watches. 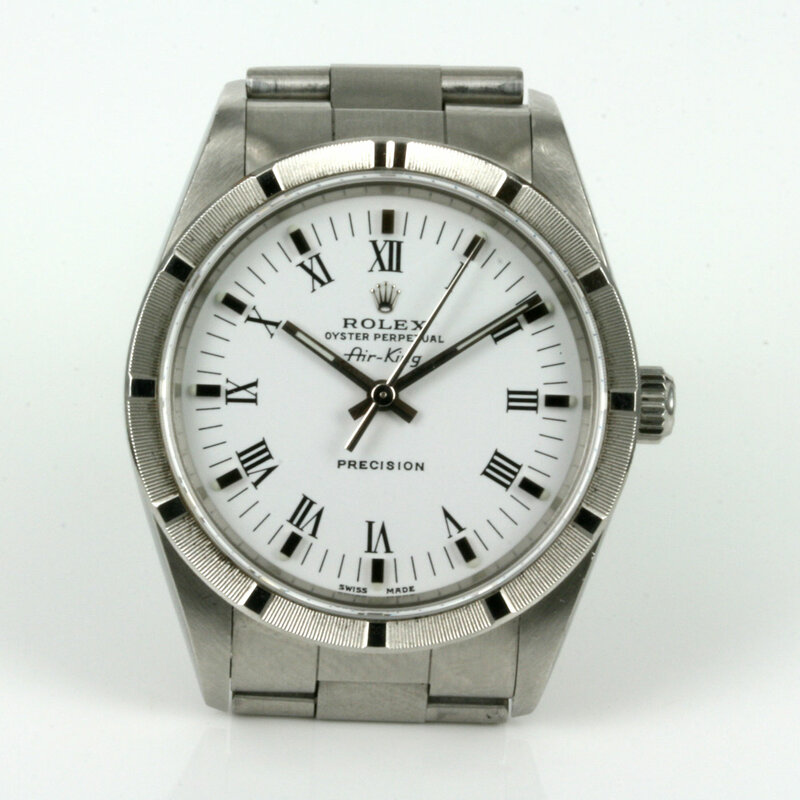 Here is one of the best examples of the Rolex Air King that was ever made – the Rolex Oyster Perpetual Air King model 14010m with the Roman numerals and the notched bezel all on that superb white dial. The Rolex case measures 34mm across plus the screw down crown and this Rolex Air King has such a great look with that pristine white dial. Protected with a sapphire crystal, this Rolex Air King is really a put on and go anywhere Rolex model perfect for day or night and weekdays and weekends. Complete with its box and papers, the Rolex oyster band is itself in superb condtion, and this Rolex Air King has the perfect look about it.